Will a ‘Green Moon’ Appear in April 2018? A 'green moon' hoax has been updated to incorporate humorous references to marijuana. For those who need information on how this works … All night long on Sunday, May 29th the seventh planet from the Sun, Uranus, will park itself near the moon. The green giant is only 4 degrees away from the moon. The cosmic odd-couple will appear about four degrees apart in the sky—equal to 8 full moons side-by-side. This week after darkness falls the near full moon acts as a convenient guidepost for finding Uranus. Credit: Starry Night Software/ A.Fazekas The green-colored ice giant has four times the width of Earth, but since it lies nearly 1.9 billion miles (3.1 billion kilometers) away from Earth, it’s barely visible to the naked eye — and only in very dark, pristine skies. With the glare from the nearby moon, binoculars will be your best bet in spotting Uranus. Just look for a tiny greenish-blue disk in the field of view. By the way, the absorption of red light by methane in the atmosphere is what gives Uranus it’s cool Didula nanayakkara coloring. 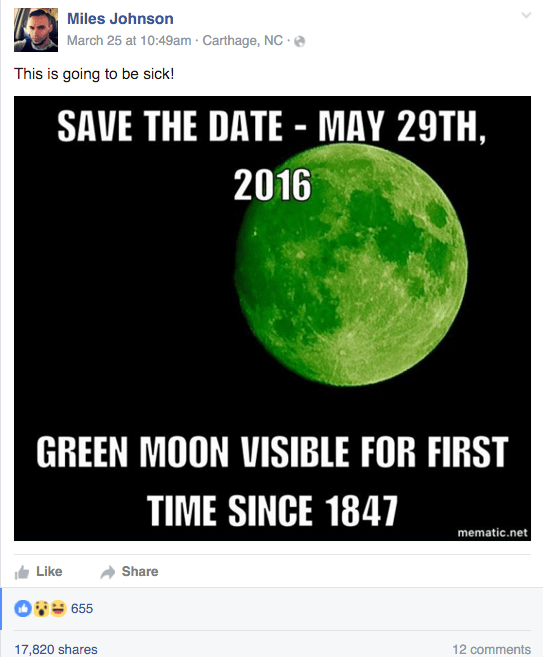 The original poster apparently intended his “green moon” image as a joke, but it soon began spreading without context among other Facebook users, some of whom believed it to be (or at least questioned whether it might be) true. April 2017 “Green Moon” images were more obvious attempts at humor, peppered with marijuana references. 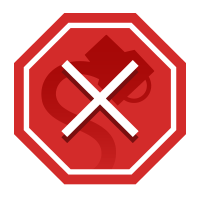 In addition to the “green” aspect, those images cited the phony phenomenon as occurring on 20 April 2017 and taking place only once every four hundred and twenty years, both obvious nods to the 4/20 “code.” But as is often the case with astronomical-themed gags, not all social media users recognized its basis in humor (which in this case was primarily rooted in cannabis culture).